Surgical Services: Our state-of-the-art surgical suite provides for the performance of a wide variety of surgical procedures. We do a large volume of elective surgery (spays and neuters), as well as lump removals, laceration repairs, wound management, soft tissue surgery, eye surgery, and emergency procedures. The majority of our surgical orthopedic cases (broken bones that require plates or pins to heal) get referral to Companion Animal Hospital in Yorkton, or Western College of Veterinary Medicine in Saskatoon. Anesthesia: We utilize the safest available anesthetics to provide an extra margin of safety for all patients, especially for our older or high-risk patients. Using the most modern equipment, the patient's vital signs are monitored during all anesthetic procedures. All patients receive intravenous fluids while under general anesthetic. We also have the ability to monitor electrocardiogram (ECG) during anesthesia. Internal medicine consults: We offer complete physical examinations, as well as bloodwork and X-rays for the diagnosis of complicated cases. Radiology Services: Our new digital full body x-ray machine provides great radiographs to aid in the quick diagnosis of many disorders. These radiographs can be emailed to specialists when required. We also have a dental x-ray machine for x-rays of the teeth and mouth. Dentistry: Our dental service is a rapidly growing area of practice. We have state of the art equipment to do comprehensive oral health assessments and treatments. This includes complete oral exam, teeth cleaning and polishing, dental X-rays, tooth extractions and minor oral surgery. We have a dental x-ray machine which is important because much of the disease in the oral cavity is below the gumline so cannot be seen without X-rays. Oral health is an important part of total body health for our pets. Maintaining your pets teeth can drastically increase the quality and quantity of their lives. Laboratory: Our in-house laboratory facilities provide for serum chemistry, hematology, urinalysis and parasite testing. We also do cytology or microscopic examination on a variety of samples (such as ear swabs, vaginal cytology, and apirates from lumps). We utilize several commercial veterinary laboratories for specialized diagnostics and consultations. 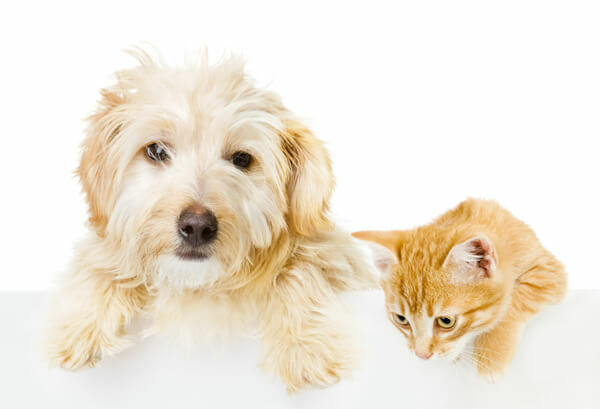 Pharmacy: We maintain a complete inventory of pharmaceuticals, vitamins, shampoos, flea and tick control products and heartworm preventatives to meet the needs of your pet. Prescription drugs can be dispensed for pets who have a valid veterinarian-client-patient relationship with our Veterinarians or have a written prescription from another Veterinarian. A veterinarian-client-patient relationship means at minimum, the patient has been examined by the Veterinarian within the last 12 months. Individualized Parasite Control Programs: We develop programs for the specific needs of your pet and your own particular environmental situation. We will review with you the best ways to control parasites in your house, in your yard and on your pet. Dietary Counseling: We will provide guidance regarding your pet's nutritional needs for each life stage, including dietary requirements for growth, weight maintenance and performance. Patti Gattinger (BS Agriculture, animal nutrition) is our in house nutrition counsellor. What a pet eats can have a huge impact on overall health and response to disease. We carry a full line of prescription diets, many different hypoallergenic diets, as well as grain-free, biologically appropriate Orijen food to meet the needs of pet owners. We also have a variety of pet treats engineered to improve teeth and dental health.